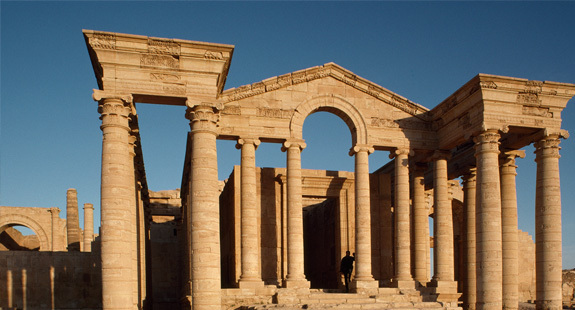 The Republic of Iraq is home to some of the earliest known civilizations and is often called the “Cradle of Civilization” because the oldest civilization in the world, the Sumerians, was formed. 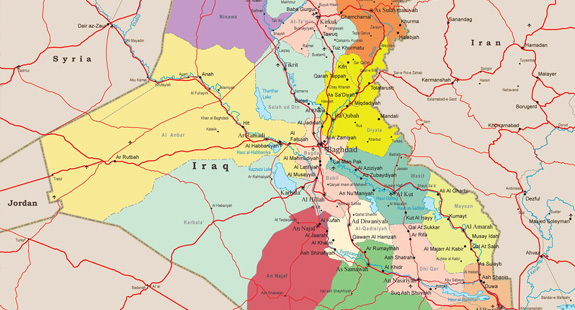 Iraq is located in the eastern part of the MENA region. It is bordered by Turkey to the North; Saudi Arabia, Kuwait, and the Arab Gulf to the South; Iran to the East; and Syria and Jordan to the West. Iraq has a variety of geographic landforms, including level sedimentary plains and mountains. 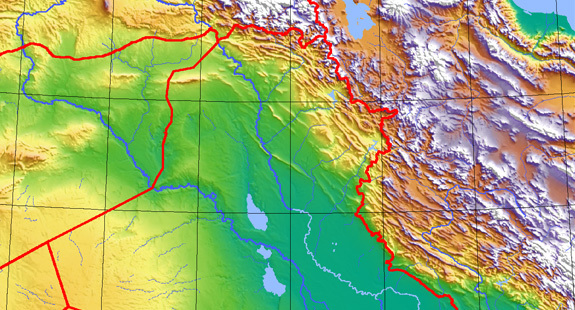 The country has arid desert land west of the Euphrates, a broad and fertile central valley between the Euphrates and the Tigris, and mountains in the northeast. 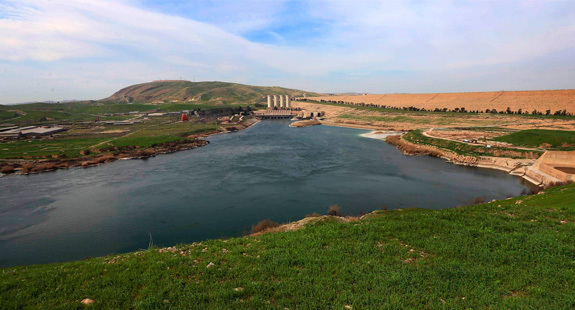 Iraq is rich with water resources with two dominant rivers: the Tigris and the Euphrates. 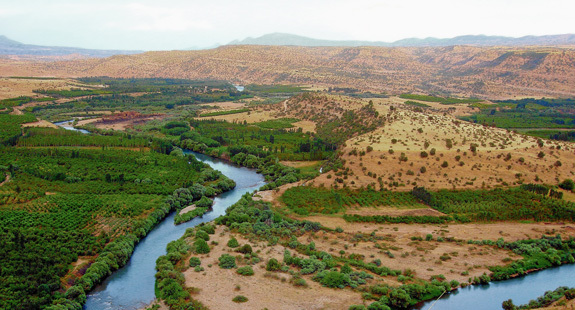 The two rivers join together in the south forming what is referred to as the Shat Alarab. The climate is mainly continental, subtropical semi-arid type with the north and northeastern mountainous regions having a Mediterranean climate. The temperature is usually over 430˚C during July and August and drops down to 20˚C and 160˚C during the day and night respectively in winter time. 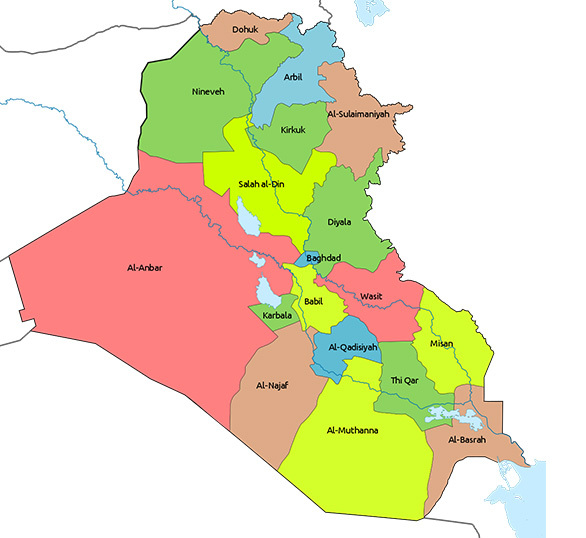 Iraq is divided into 18 provinces with Baghdad as the capital. 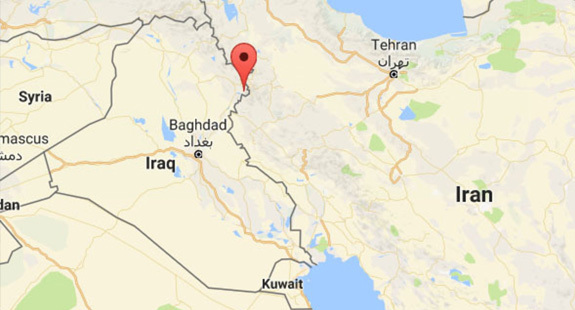 These provinces are: Anbar; Babil; Baghdad; Basrah; Dahuk; Dhi Qar; Diyala; Erbil; Halabja; Karbala; Kirkuk; Maysan; Muthana; Najaf; Nineveh; Qadisiyah; Salah al-Din; Sulaymaniyah; Wasit. 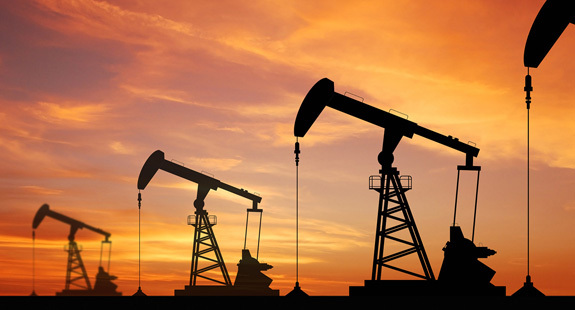 Iraq’s major resources consist of oil, natural gas, sulphur, phosphate, iron, kaoline, bauxite, limestone, gravel, and sand. Iraq has significant gas reserves, usually found in conjunction with oil. 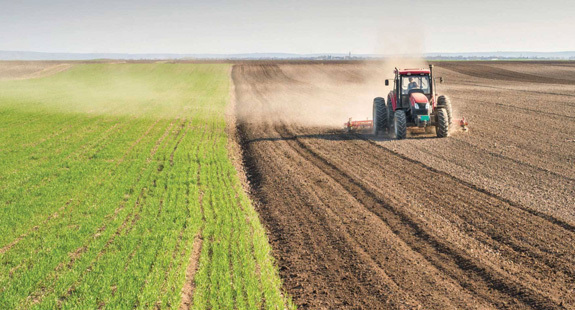 Agriculture has historically been of great economic importance for Iraq. Livestock including cattle, sheep, goats and poultry are important industries with training in farm management, animal husbandry and pasture improvement.